CRESTLINE — This morning, Nov. 19, 2018, Crestline Village Police Chief, Joseph Butler resigned his position with the village. 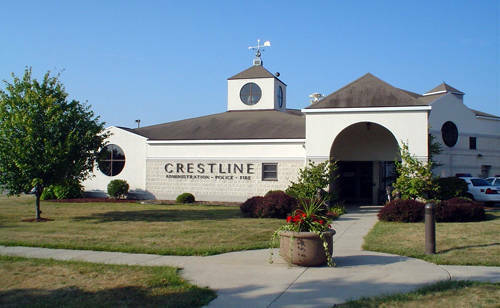 After nearly two decades with the Village of Crestline during which his personnel file was without blemish, Chief Butler felt that the village administration had put him in the sad and unfortunate position that he must involuntarily resign effective immediately in an attempt to salvage the dignity and respect of his position and village’s police department. Prior to hiring The Stone Law Firm, Ltd., Chief Butler found his work environment to be so hostile that he filed a formal complaint with the Equal Employment Opportunity Commission alleging, specifically, Title VII retaliation from former Crestline Village Mayor, Allen Moore. It was Chief Butler that brought Mayor Moore’s racist and prejudiced comments to the public light after his body camera picked up the former m ayor using the “n” word multiple times in a conversation. From that point forward, Chief Butler — for the first time in h is career — has become the subject of sudden, inexplicable and retaliatory attempts at disciplinary action ultimately aimed at his termination. Instead of putting his family and the village of Crestline through further turmoil and controversy, Chief Butler feels strongly that his involuntary resignation is the right thing to do.